LAHORE: Punjab Minister for Schools Education Murad Raas on Monday visited a government-run school in Lahore and expressed anger over lack of basic facilities at the educational institution, ARY News reported. 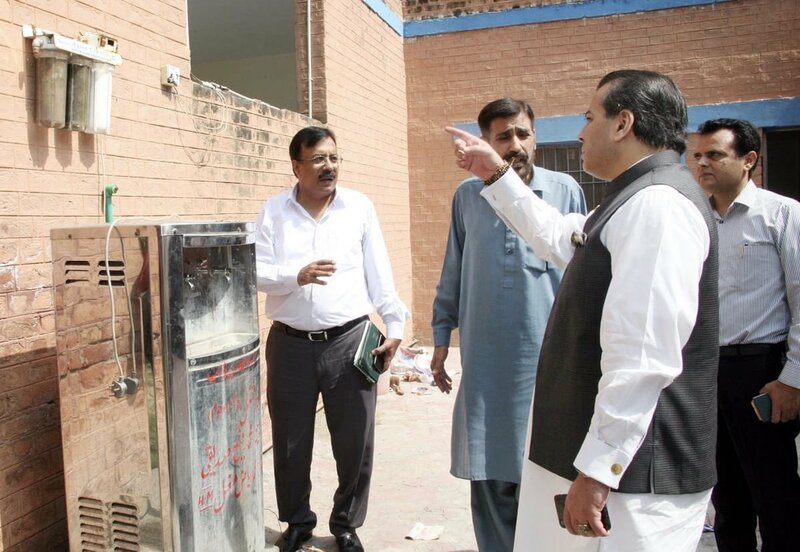 According to details the provincial minister paid a visit ot Government Junior Model School Model Town, inspected various sections and examined the standard of educational facilities provided to the students. The minister expressed his strong indignation over the unavailability of necessary facilities in classrooms including lack of proper staff like gardener and sweeper in the school and directed to provide necessary facilities to the students at the earliest so that they could study in conducive atmosphere. During the inspection, he made it clear that those failing to perform in a responsible manner will be relieved of their duties as there is no room for such inefficient people with PTI at the helm. “I shall soon visit all the districts in the province to examine the facilities in the schools there, Murad Raas said. Earlier, he inaugurated the 10th Lahore International Children Film Festival 2018 at a local shopping mall. In this festival, 72 films of 29 countries have been presented. The films have been selected from 2765 movies of 67 countries. Th festival will continue till October 6 and short films will be shown to the children on different topics including education, culture, tolerance, terrorism and global customs.